Two weeks ago, I chaired a discussion in the Private White VC shop in Mayfair around the topic of British manufacturing. It turned out to be one of the most enjoyable such talks I’ve ever done. The speakers were great, with both young and old; style, product and make-focused; and an audience that contributed as much as the speakers themselves. I've transcribed the highlights here. I hope you find it interesting. Simon: Good evening everyone. Today we’re going to be talking about British manufacturing - something that has come into vogue in the past 10 years, but I think it’s fair to say is rarely analysed in detail. The first thing I would like to get is some sort of perspective on the Made in Britain trend. Because while it’s certainly seen all around us, few people relate it to previous trends along the same lines. And I certainly haven’t been writing long enough to be able to give that myself. Tarlach, how have you seen attitudes to the location of your manufacturing change over the years? Tarlach de Blácam, Inis Meain [above]: Well, I guess I can provide some kind of perspective on this, being more long-in-the-tooth than some of the other speakers. Inis Meain is a little island off the west coast of Ireland. That’s Ireland by the way - so not British manufacturing! Simon: Ah yes, apologies about that. Tarlach: That’s fine - I originally went to Inis Meain as a student of celtic languages, and I can tell you ‘Britain’ has long been a word for all the islands of this archipelago, so no harm done! When I first went to Inis Meain in the mid-1970s, there was no running water, no electricity, and everything came ashore by canoe. I went there to write, but ended up setting up a knitwear factory - primarily to make use of the fantastic local skills there. When we first started to sell, it was for export, and we came to London and worked with an agent here. He loved the product, but it was hard to sell. He always said, if only I could stick a ‘Made in Italy’ label on it, it would all go. Being made in Ireland wasn’t much of a draw at the time. The transformation that has taken place in the past 5-10 years, among young people who want to know more about quality and provenance, is breathtaking. It’s fantastic. When we started selling back in the 1970s and 1980s there was nothing like that, and I do think it's unprecedented. I take my hat off to all the young people in the room here. Now we need to train them to use their hands, to learn real skills, rather than these stupid industries where people sit in front of a computer from morning to night. James Eden, Private White VC [above]: Well of course, I was one of those stupid people working in front of a computer screen all day, but I took a rather different route to the industry. I started working with Stolly - Mike Stoll, our factory manager there in the front row. If you don’t know Stolly you really need to, because he’s a legend. When I was growing up, I only knew British manufacturing as a busted flush, in a terrible state, and frankly I still think it’s in that state today. The only way we’ve been able to survive as a manufacturer is by creating our own brand. Without that, we would never have been able to continue. The private label business [making for other brands] is very very hard by comparison. Today I think you need your own brand to create the interest, the price point, the desire, to support a factory and all of the staff we want to train and push forward. Simon: Euan, how have you seen the Northampton shoe business change? Edward Green has always made mostly for itself, but how have other factories in the area evolved that did private-label work? 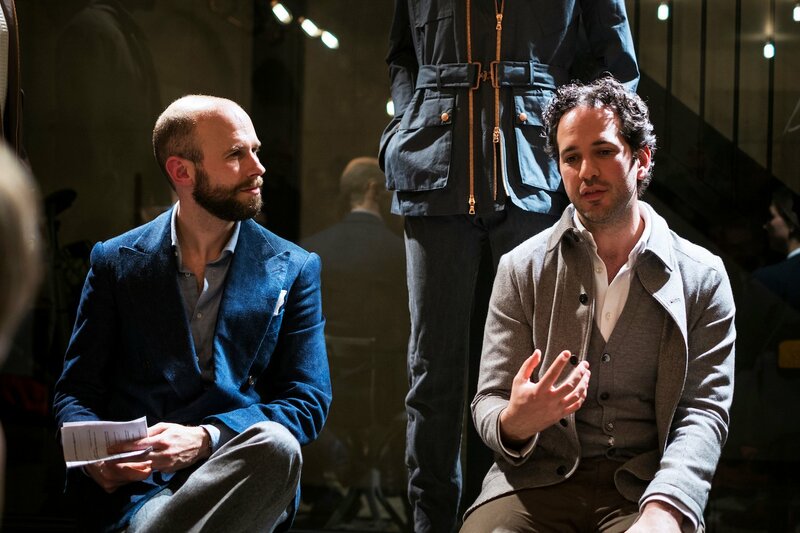 Euan Denholm, Edward Green [above]: I think many have realised how much you need your own brand. Apparently there were 505 shoe factories around Northampton at the turn of the 20th century. They were all making bulk, mostly for the British market. Now only the high end is left, mostly in niches, mostly for export, and you need a brand to support that. You’ve seen factories transition from private label to their own brand - as the Church cousins have done with Cheaney, for example. And the factories that are left are going in that direction as well. Simon: Nick, how have you seen British industry evolve over your career? You must have a different perspective, coming more from the design side of many brands. Nick Ashley, Private White VC [above]: The family company saw a lot change, yes. For those that don’t know, my mother was Laura Ashley [English clothing and furnishings brand]. She and my father started out in Wales in the 1950s producing fabrics, and everything was made in the UK back then. They ended up with thousands of people across several factories. Eventually they had to close, but I think that actually if we still had those factories today, even with the focus on British manufacturing, they wouldn’t be profitable. It’s just too expensive to produce here, and once you have those costs, what you end up with is a luxury product. We came to that realisation with Private White. But to answer your question, I’ve certainly seen things change in attitude to manufacture. When I left Laura Ashley I set up my own menswear brand, in 1992. And back then it was all about brand - that was all anyone cared about. Now people are far more aware of provenance and sustainability. Simon: I find it interesting that everyone is saying there must be this link between manufacturing and brand for the former to survive. Because most people still associate the word ‘brand’ with big designer brands, almost as the antithesis of quality and craft. 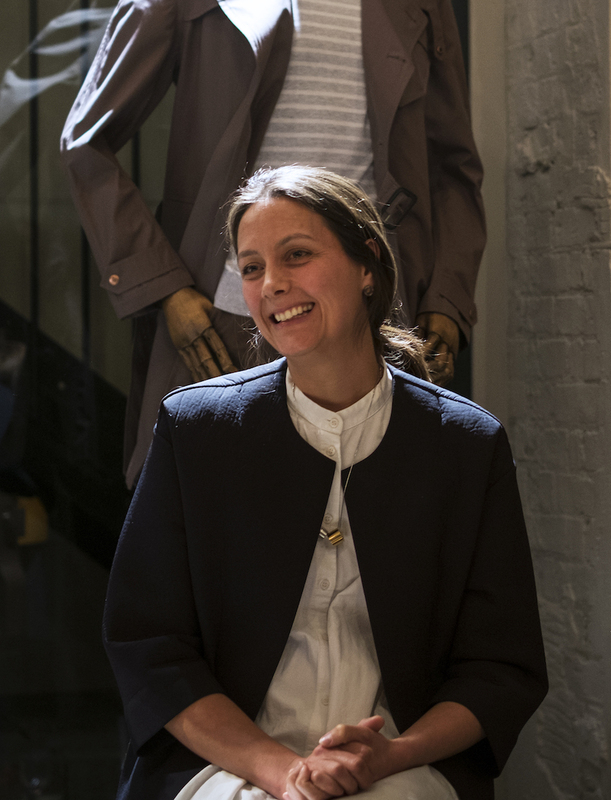 Alice, what’s your view on this, because you have the unique perspective of working both with lots of different British factories, and more on the industrial side. Alice Walsh, Alice Made This [above]: Yes, and my background was in furniture design. We found there that there was a big wave of people going out to China, to Vietnam, and then gradually coming back as British manufacturing started to reform, to start to think about how it could channel materials or processes to do something beyond just the machine parts it had done traditionally . It made them more open, which is great for a brand like ours when we go to them and ask for unusual pieces. And they've proven that UK production can actually be more cost-effective, once you factor in travel, building relationships and so on. Simon: How widespread a trend is that? We often hear news items about brands bringing manufacturing back to the UK. But is that the rule now, or the exception? James: In the apparel industry, there isn’t much that’s real. There’s a lot of green-washing and a lot of smoke and mirrors. I don’t see anything significant coming back to the UK. It’s a very long-term decision to start making here again, and people aren’t prepared to do that. To be honest I don’t see it ever happening in the future either. Alice: As a brand, it must be a lot easier for you all, because you’ve always made here, you can philosophy into your brand from the start. It must be much harder for someone like LVMH to pull everything back from overseas, to suddenly try and change people’s perceptions. 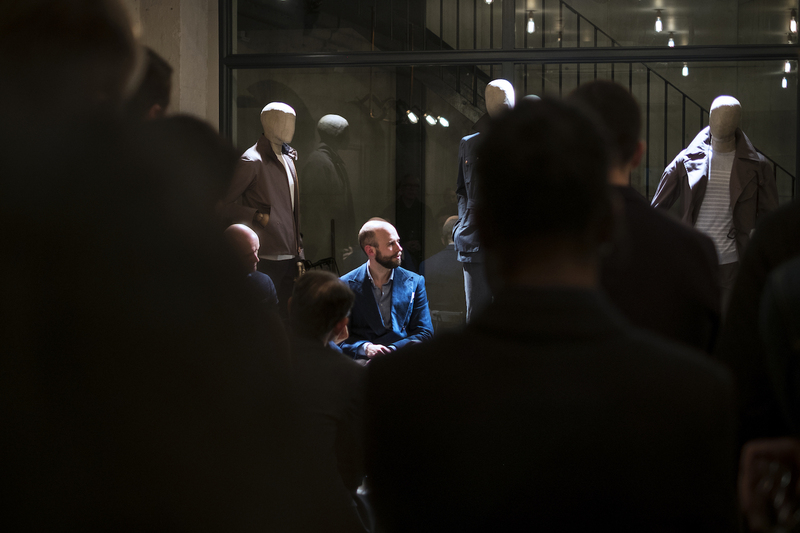 Audience member: What do you all feel about Patrick Grant’s community clothing project? That’s much more mid-market than your brands, but has some interesting new ideas - such as trying to use traditional slow periods at factories. James: I think it’s very admirable. Anyone that wants to make in the UK, and is open and transparent about it, should be applauded. My only question is whether it’s possible to create any scale and therefore longevity with that approach. Nick: They’ve got a saying in Wales: sales are vanity, profits are sanity. Alice: One of the things I think is really valuable in projects like Patrick’s is the public awareness it creates. Although a lot of people are aware of provenance and quality now, it’s still the minority. It's good to push this out into the mainstream. Simon: Absolutely. It’s so hard to know how broad a trend this is. Lovely as it is to write for an engaged audience on Permanent Style, and to talk to a great audience like we have here, it can also be a bit of an echo chamber where everyone agrees with everyone else. 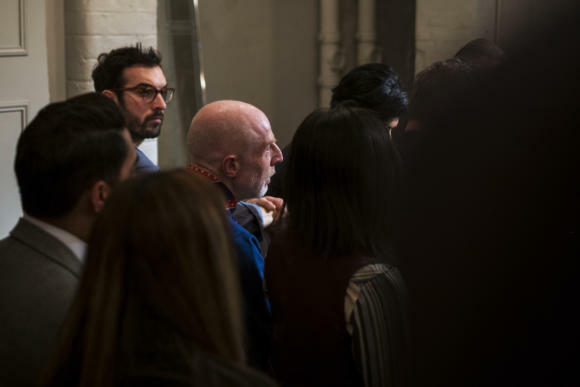 Tarlach: It’s interesting how Italy has been able to retain far more of its manufacturing, as far as I’m aware, and certainly remain more powerful in marketing and so on. Part of the reason must be that the Italian government helps support factories there through slow times. Simon: Factories there have certainly been more socially and community-minded over the years, which has helped them a lot. 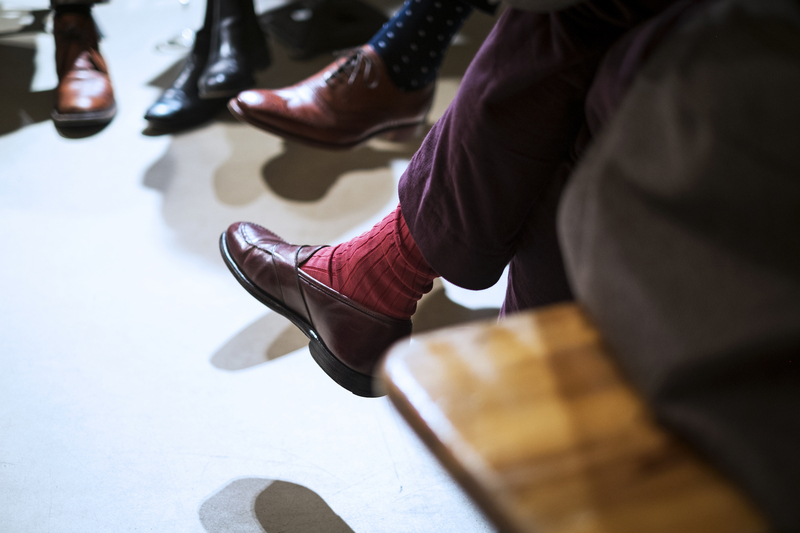 But there are just as many manufacturers there setting up their own brands too - like Marol shirts, or Bresciani socks. They face the same pressures. Audience member: Why are we so aware of so many Italian brands then, compared to British ones? Why have they survived so much better? Simon: It’s a complicated picture. To a certain extent, they haven’t. It’s only the top end of the apparel market that has really survived. But also, what counts as an ‘Italian’ brand is rather different, as the government deliberately makes it easy to put a ‘Made in Italy’ label on a garment. Only a very small proportion of the work has to be done in Italy, the rest can all be done in Romania. Whether that’s a healthy approach for a government to take is another question. 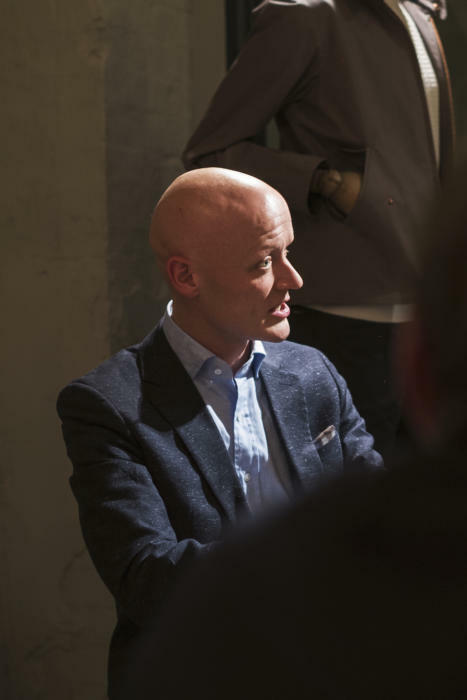 Mike Stoll, Private White VC (from the audience): All most people want is a short cut - a quick indicator that one thing is better than another, which might be a label or might be a British flag. James: Even then, let’s be clear - most people don’t care about quality. They want to buy five maxi-dresses on a Friday, wear six on a Saturday and return seven on a Sunday! Audience member: There’s a contrast there with womenswear. It must be so much easier in menswear to produce quality clothing, when men buy less and have styles that stick around longer. My father used to say: $120 shoes last twice as long as $60 shoes, but $250 shoes last forever. The prices are a little out of date, but the principle’s right. Alice: I think men really enjoy making educated choices. They like the feeling that they know about the product and can talk about it. Simon: I remember someone saying to me years ago that men’s number one desire with clothing was not to look stupid - that’s why they rarely wear unusual things, and take the piss out of their friends when they do. But their number two desire is to feel they’ve made an intelligent choice. Whether it’s because the piece is fashionable, or well made, or rare. 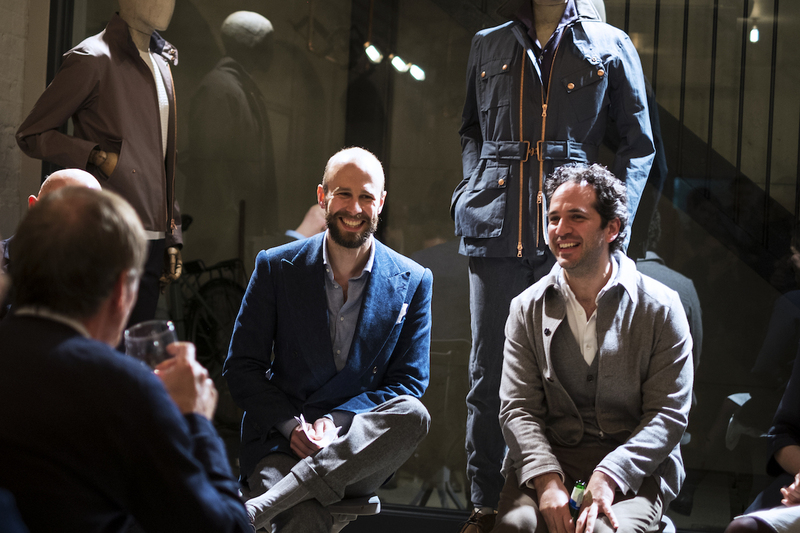 It’s that desire to be sitting at the bar and have someone compliment your jacket, and you say ‘Well, let me tell you about this jacket…’ and have a great story to tell. One thing I think is often not well covered is the day-to-day benefits of making locally. Of making it easier to oversee production, to check quality, to refine design. Is that something you can reflect on, James? James: Well first of all, nothing we do at Private White is easy. Trust me. But we also don’t have much to compare to, because so much of our supply chain is in Manchester. Our mills, our weavers, our spinners are all based in local counties. We don’t know any different. Nick: There’s a new cotton spinner opened up in Manchester as well - the first one to bring it back to the city. Cottonopolis rising from the ashes. Tarlach: It can’t come soon enough. I met our linen supplier in Paris last week and he said when he started there were 14 linen spinners in Europe. Now there are two. That whole northern Europe linen industry that stretches from Ireland, through northern France to the Netherlands, is now sending its raw material to China to be spun. If I thought I had enough time left, I’d say I’d like to bring all of that back to Europe. To create such energy with craft and people working with their hands, that all the traditional, specialist industries came back here. Alice: It must be a big issue that all young people feel they have to get a degree these days - as you did, Tarlach. Rather than training, rather than an apprenticeship. We work with one place that is the last maker of the hardware for military uniforms in the UK. Their master worker is 75 and he just can’t retire. There’s no one to replace him. Simon: I’m conscious we’re running a little short of time. Do we have any more questions from the audience? Audience member: Do the speakers foresee a time when British goods could become more affordable? I work at a bespoke tailor, but my flat in Tooting is too expensive, and I can’t afford any of these things, much as I might appreciate them. Nick: It will always depend on the costs of what goes into it. Bespoke tailoring is always going to be expensive, because it’s so labour intensive. But you could have a fully automated shirt process, based in the UK, that would be a lot cheaper because the whole thing was made by machine. Euan: And if you want handmade, Goodyear-welted shoes, you’ll have to save up I’m afraid! 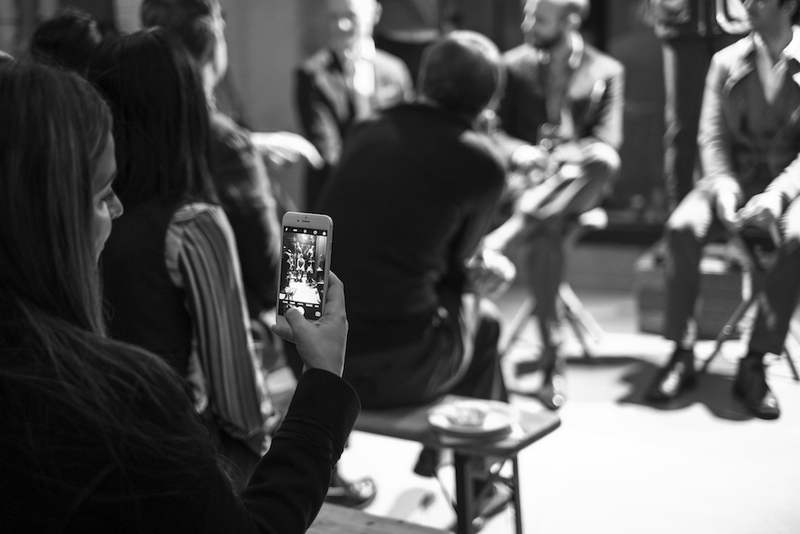 Audience member: How have you all coped in becoming not just brands, but retailers as well? Is that a harder jump? James: In many ways yes - you can see it around you now. We’ve had to open our own shops, to be fully vertically integrated. Tarlach: It’s getting harder all the time - department stores today are little more than landlords. And there is so little training for staff. The only exception for me is Barney’s in New York. Alice: Independent retailers probably have it hardest of all; harder than most of the brands here. As brands we can do so much more than we used to be able to - tell our own stories through social media and so on. Independents end up competing with everyone, and trying to do most of it face to face. Simon: The cost of retail is something that even highly engaged consumers have a problem with. Everyone says they support independent shops, but they baulk at rent being part of the cost of what they’re buying. 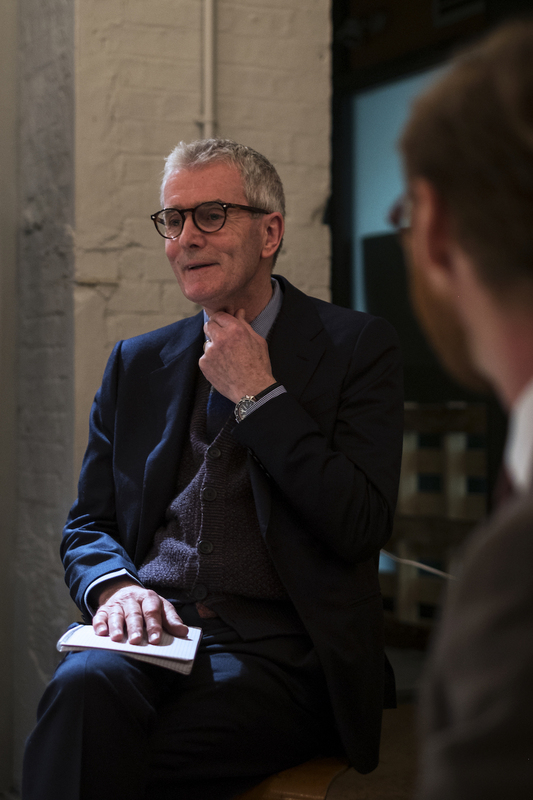 Audience member: What one thing would each of the panellists like to see the British government doing to support British manufacturing? Euan: Negotiating Brexit to avoid hitting us all with new tariffs to trade. Tarlach: Tariffs too, the prospect of that is pretty frightening. Euan: Also, stopping people putting British tags, flags, or labels suggesting something is made in Britain when it isn’t. It should mean something. Nick: Absolutely, in the same way as organic food - that requires a Soil Association stamp. Mike: A Union Jack on a motorcycle jacket, perhaps… Owned in Italy, made in Morocco. That can’t be right. Simon: Ok, we’ll leave it there before we get into any legal issues! Thank you so much everyone for coming, and to Private White VC for hosting us. You can follow the discussion on The state of British manufacturing: A debate at Private White by entering your email address in the box below. You will then receive an email every time a new comment is added. These will also contain a link to a page where you can stop the alerts, and remove all of your related data from the site. What are your views on Made in Britain branding, firms trying to rip off Savile Row etc etc. Surely someone needs to start a soil association-esque stamp that people can put on a bespoke maker ? The higher the rents are, the more expensive the goods get and the smaller the disposable income of the average consumer is. I wonder what the future looks like, are all these companies limited to a certain scale or can online sales really help them grow. As someone living in London with access to so many of the brand stores it is hard for me to guess the experience of an online customer. I suppose another route is broadening your product range as Drakes has done – but that may take you away from the British manufacturing (although Drakes map of their provenance in their magazine or lookbook is fascinating and still dominated by the UK). I think they can certainly grow, and not necessarily just by being online. Drake’s is a big wholesale business, for example, and is expanding retail in New York and Tokyo. Interesting article but at the heart of the industrial/manufacturing challenge are two key issues: 1. Property and rates costs. 2. Energy costs. Staffing, whilst traditionally high is becoming more competitive not due to UK policies but the massive increase in wage costs in Asia (China = 10 fold increase over last 15 years). The post 2007 rise of the US economy was based on decreases in 1 and 2. Energy costs, particularly, fell allowing for undustrial output to rise = increase in jobs. One questioner, rightly asks about better prices, these won’t change until we collectively address these issues. Branding, marketing, advertising, exporting etc. will all lag until then. Which is why, when you want excellent, affordable Merino knitwear brands such as Uniclo offers a sub £50 product – made in China. An interesting debate but the reality is that British manufacturing only works when it gives the product a differential advantage. That advantage can be speed, quality, marketing provenance or a combination of all three. I love artisanal products which is why I visit this blog but when I read some of the content from this event and others I think the evenings should be titled ‘How Do I Build A Sustainable Business’ because it seems like some of the businesses want to be all things to all people: they want to be big but exclusive, they want to manufacturer in the U.K. but they want a low cost of goods, they want wholesale volumes but they want to control the way their brands are presented, they want private equity investment but then complain that they loose control of their business. And so it goes on. The real issue in many instances is a lack of knowledge pertaining to business strategy. It is simply not possible to be half pregnant. There will always be a market for extremely high quality product with a provenance that appeals. The question is how do you optimise it whilst keeping it sustainable? It’s a complex question with many different answers but one things for sure, if you go too broad or adopt different marketing positions in different countries you will blow it and you will give up your space to others. Nobody remembers that the original ‘Brut’ by Faberge was once one of the world’s most exclusive male fragrances. Things are going to get even tougher with people rejecting consumerism as having just too much stuff and luxury dollars being diverted more and more towards experiences. It will be interesting to see how many of these brands rise to the challenge. Well, you hit it on the nail David. These are the same kind of speakers that would have their products advertised or shown on How To Spend It yet seem quite oblivious to the reality that making Made In UK as an entity is the pursuit of nostalgia. Commendable that we want to make products with provenance and better yet to be entirely in somewhere in the UK, but at the same time, the costs of living in a city like London or in the UK is so absorbent, that there is so much empathy for the audience member who said he works for tailor but can’t afford his rent. How could rationality bear to face that you have slave in labour but have nothing to rewarded for? So many young (by age) tailors who do work on the Row have the utmost appearance of wealth and prestige but they have nothing to show for it. I’m coining the term applied here as Empty Suits as written by the American television producer David Simon. Hi Michael, so are you saying Made in UK is only as important as the quality of the garment or speed of delivery or experience or whatever it may be. But it has to be more than just made in uk. Do you think that made in uk over made in china, even if the garment is the same quality has any advantage in this day and age? As observed by David, Made in UK means you have to have a product that’s differentiated, but one which also recognises that Made in UK means an openness to the fact every component, every material used in the process of making a specific product is not in actuality British, Irish, or Scottish. You might have a factory UK-based but you can utilise Swiss cottons, Irish linens, German or Austrian wools as examples. In your reference, price-point is an overwhelming factor. There’s a perceived advantage in controlling the entire production process and overseeing how they are being made, but these days, so much of menswear are made in places such as Portugal and increasingly in Romania. So contemporary high-end menswear brands transferred their Italian manufacturing to Romanian manufacturing. If your have a prejudice against a country, then you would perceive the Eastern European countries inferior to a country such as Italy. But for how many years, Paul Smith made his men’s clothes in these countries, with his higher end Paul Smith brand for men’s suits in Italy. What works well and very advantageous is Drake’s in London. 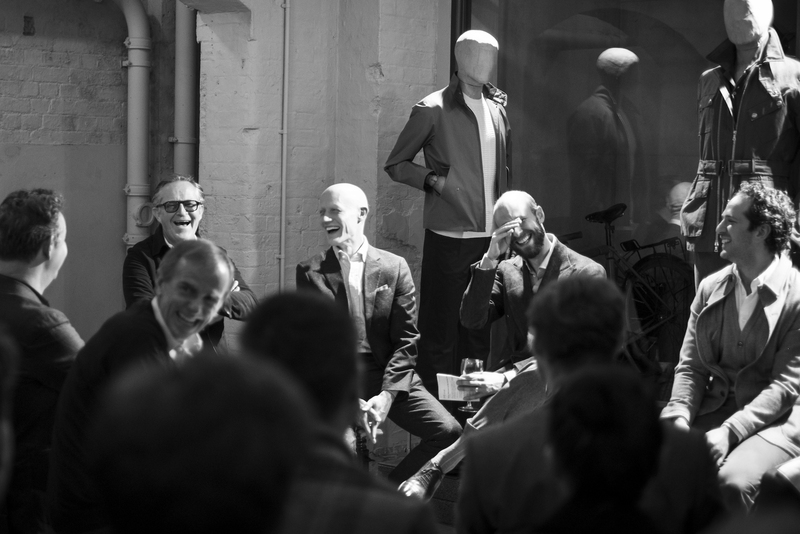 As a British example, their standard spread collar shirt as one product example costs £125. Charvet – considered as the exemplar of men’s shirts – charges over £500 for the same. Undoubtedly, Charvet has nurtured its cachet for a long time that charging £500 for a shirt by Drake’s would be unfeasible. Overall, as in my original reply, I stressed that pride in making in the UK is admirable and rightly commendable. But you have to have a business that’s flexible in the way it thinks – and therefore sustainable. Not minding UK businesses, Scottish factories making cashmere or fine woolen goods have been on the decline for decades. One was bought and saved by CHANEL, another thought they could be open to working with the British fashion designer Christopher Kane several years ago. I’ve always loved clothes and fondly remember fabulous London shops like Thackerys and the Village Gate who, back in the day, were new different and better. Even in those halcyon days style influence and merchandise came from Italy and France but the UK were undoubtably the leaders when it came to the modernist revolution and the aforementioned stores definitely presented themselves as UK brands. Fast forward to today and consolidation together with the march of the multi-nationals has taken its toll with quality, creativity and individualism not always benefiting. Of course, one could never criticise the quality of a Zegna suit but their misadventures with their style gurus has seen their traditional consumer heading for the hills. Or, in my case Savile Row. Whilst the new customers they were trying to target probably couldn’t afford the tie, let alone the suit ! This is what happens when a brand tries to be something it’s not. I mention this because ‘Made In The UK’ is just not enough. Just in the same way that quality was not enough for Zegna. I’m an international man but I am also a patriot who believes that charity begins at home and would like to support my fellow citizens whenever I can. This means I prefer to buy goods made in the UK regardless of where the components or raw materials are sourced from. That said, this only works if the product is right and appeals to me. I drive cars that are made in the UK but this is because we make good vehicles. Until Ford and Tata sorted out JLR and BMW resurrected the Mini brand options were limited – to say the least. It seems to me that the issue with some brands is that they haven’t figured out their own DNA and think ‘Made In The UK’ can be their principle raison d’etre. That is simply not enough. 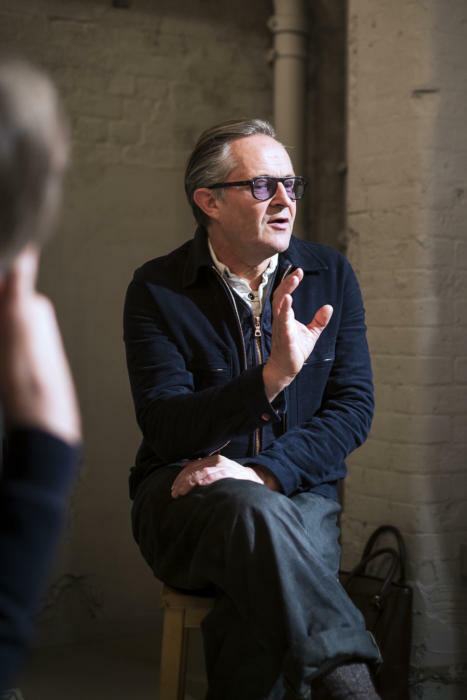 If you are making clothes with the right style, with the right quality and at the right price for your consumer then, if it is true, and you really do make your stuff in the UK, then provenance can become an important part of your added value. 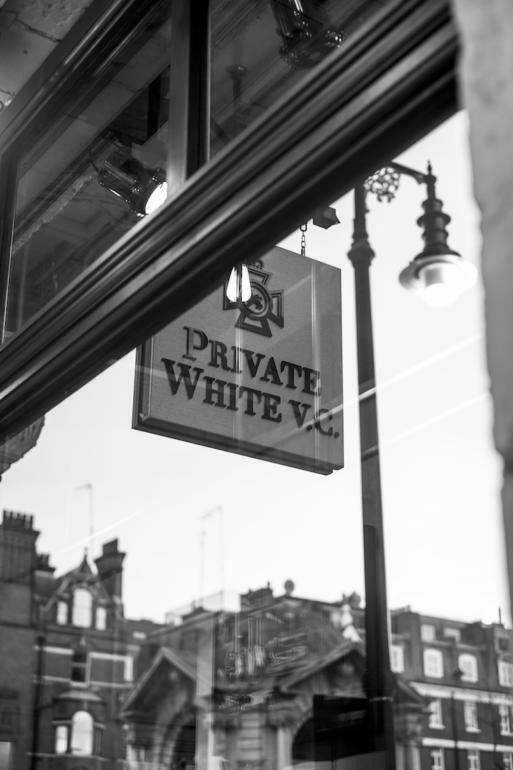 In this regard, it looks like ‘Private White VC’ look like they are doing a good job. Certainly my sons buy their products and swear by them. Personally, I won’t be leaving A&S any time soon but there again, I don’t think I’m their target. Personally speaking, I’ve had the privilege to both work and live in London most recently and by ‘A&S’ I think by those initials you must mean Anderson & Sheppard? Well, I think they are an extremely fine tailoring house, because as any Londoner would know, unassuming people look at every detail of what someone else wears. I wore A.P.C. denim at the time, when suddenly, a walking bypasser in his suit calls out to me to ask what brand of denim was it because he saw the cloth being irregular. But also, you get to briefly talk to tailors because they walk pass on their way to lunch, or back to the Row and you noticed the primordial quality of the suit. One time, one had in his hand, a jacket that was naked at the stage of its basting. 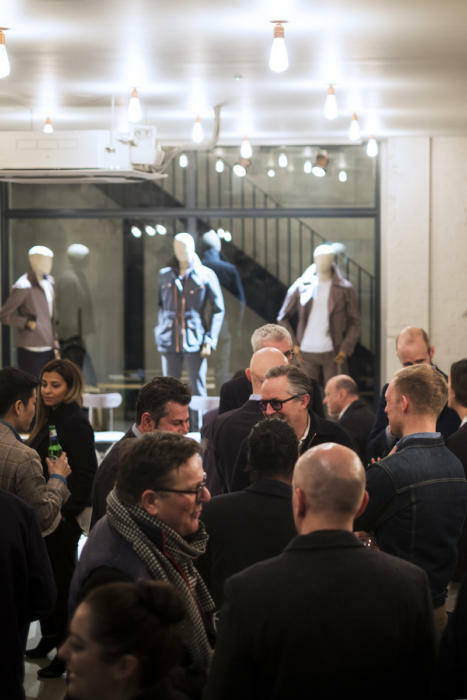 Take something of interest – when Mats, the proprietor of Trunk on Chiltern Street (W1) – I don’t think there was this kind of store in London ever before in offering (in the truest sense) contemporary menswear. Beautifully made, with classic casting, often labels originating from Italy and Japan (think Slowear and Engineered Garments (although with a New York base)). Maybe it was a mini-revolution – those on one hand would so much welcome his shop – and on the other hand people who might deplore it as not being fully custom (or not to the elevated statuses of Dunhill or E. Tautz). Interestingly, Trunk stocked Sunspel in the past, and as a brand that has always took pride in its British-made history, not everything is made in the UK. Excuse my expression, but Sunspel was the go-to brand for a well-made insulated sweater hoodie or buying a chino pair of trousers or shorts for vacation. But these are made in Turkey. Only the t-shirts which are sea island cotton or cashmere are made in the UK. So when we talk about this UK-made label, you start to re-consider what is meant by that. Because you could purchase a £75 Egyptian cotton t-shirt that has the soft handle and lustre from Margaret Howell – whose main line are all made in the UK and Italy, whilst her secondary line are made in Portugal and possibly other countries. Would you then opt for a Macintosh from Macintosh or one from Howell? 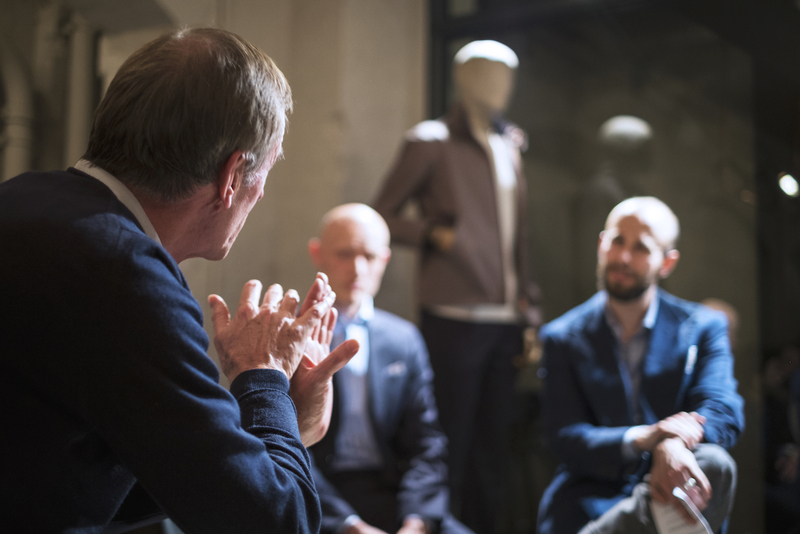 On Zegna – this is such a highly visible, global marketed brand which is in the milling business and the suit business that when it comes to having a suit made by them, it’s subjection. I’m not going to say that yours is a better or worse suit in comparison to somebody else’s – or from one on the Row because there’s value in a suit made by them. I should have the right to criticise in this way. They have mass-marketed their off-the-peg suits for department stores for years with a Made in Mexico label but if you having one with a made-to-measure service with assurances that the process has a lineage back to Italy, I can’t fault you on having a suit made by them. When at a time, Stefano Pilati made Zegna and a special collection with an entire range made in Japan – that’s a lot of innovation which makes tailoring exciting to wear again. As another note on made in the UK, the label of ‘Made In Germany’ ironically was not made by the Germans, but by the British. Through the British Merchandise Marks Act enacted in August 1887, products derived from Germany were discriminated to protect British-made products, more specifically kitchen utensils from inferiority. History gestures that in relation to what we want from made in UK is knowing what its core strengths is and allowing its lesser strengths be championed by others who might know better or have the know-how (savoir faire). As a basic example: three calfskin leather belts – one made in the UK, one made in France – and one made in Italy. Would you instantly buy the UK one, or would you allow yourself to be emotionally attach yourself to an inherence elegance in something French made, or knowing about the ‘Italian craftsmanship’? Really interesting Michael. Thanks for your reply. Simon, I wish you could write what kind of socks you are wearing also. Brand, material, colour and so on. Sure. They’re Bresiani, light grey with a broadly spaced white stripe. Switzerland I believe has a new law for which products qualify to be advertised as Swiss Made. The man who fought for the new law is himself a Swiss manufacturer of Swiss products. Now many products must remove their inauthentic Swiss Made claim. – Simon, you still buy your trousers in Italy (Incotex) because you haven’t found any English made to please you, right? May I send you photographs of my Italian trousers where there’s an anomaly for your opinion? Thanks for this very interesting report! Despite the misgivings about the current state of this industry, there is one big issue that really needs to be properly addressed so that it could confidently rise up to today challenges and the ones ahead. This industry has to ditch the following assumption: that the kind of customer or potential customer whether in the UK (or abroad), is still the bowler-hat wearer, despite the huge change of the social & cultural landscape. Why is this assumption so consequential? Because there is an attendant assumption attached to this figure when it comes to his knowledge as a buyer. Indeed, the bowler-hat wearer knew exactly what he was purchasing and how to take care of it later on. He was in the know thanks to his various circumstances. Now, relying on tradititional journalism or even social media to tackle the challenges related to the disappearence of this past menswear central figure would be a mistake of strategic scale. Frankly, why would one willfully buy a crap while knowing that it is a crap? Therefore new initiatives and approaches are in need in matter of “consumers education”. Even the ways products are featured and presented to consumers are to undego changes. There is ABSOLUTELY no reason why these craftsmen and women should worry. But they should devote a little bit more thinking on how they are to speak about their products and most importantly how to speak to their actual and potential consumers. Simon, I understand what is meant by provenance when it comes to garments and how this is a selling point. But what is meant by sustainability?